San Diego, CA – On May 4, 2011 from 10 am-11:30 am PST, 1parkplace is hosting a FREE, National webinar workshop for REALTORS, brokerage management and affiliates on how to best connect with homeowners in every community. The webinar is being led by Steve Hundley, CEO of 1parkplace, Inc., (www.1parkplace.com) a national real estate marketing firm based in San Diego. Hundley has made it his personal mission to educate top performing real estate professionals on becoming even more successful by creating an irresistible influence the community they are servicing. “If you are doing any farming or community marketing this FREE workshop is very timely, relevant and focused on results”, says Hundley. It will focus on the innovative and impact ways of reaching and connecting with every home owner or home buyer in your targeted marketplace. The goal is to ensure that you are the first person called anytime someone is thinking of buying or selling a home in your community, so just join community management in greensboro. – Bottom line: How to dominate your target market area! According to https://green-touch.org/installment-loans/, the workshop will share the strategic plan utilized to help Gregg Neuman transform his Downtown San Diego marketplace from less than 1% market share to over 15% market share in less than 2 years. As the number 1 agent for Prudential California Realty and the number 1 agent in the 92101 zip code, Gregg lists and sells more homes than the next 5 top agents combined and he is not an REO agent. Sign up NOW, even if you are not able to make the date and you will receive a link to the recording afterwards. Even though this is a webinar, we do have space limitations. Register ASAP. And tell a friend. 1parkplace is the ultimate creator of award willing real estate marketing technology and real estate lead generation solutions. We offer an array of solutions including real estate marketing, training and education, real estate search engine optimization, eMarketing solutions and several other solutions to support every professional. 1parkplace offers comprehensive solutions that address all aspects of our customer's strategic needs. We don't just build Web applications, we help to define, build and provide solutions that meet a client's strategic marketing vision. Our product advantages include IDX MLS Cirrus, SMART BOSS, SMART Press, SMART Tracker and more. 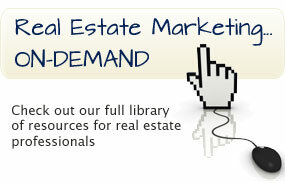 1parkplace is proud to provide Real Estate Websites, Real Estate Marketing Tools and REALTOR Education. Educating our customers is one of our top priorities. We believe that with the right Real Estate Marketing tools we can help you make your business reach its highest potential.